There are two L400 Models, know as a Space Gear. The name is derived from Delivery Car. 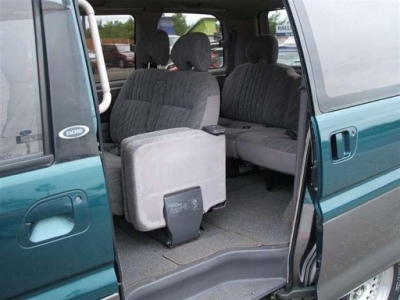 With lots of Space for Sports Gear. These pics should let you work out which you have. Images above show the high roof option. Options available on original factory order are:-. Low roof = flat roof level with the gutters, which may have a front cab Sunroof. 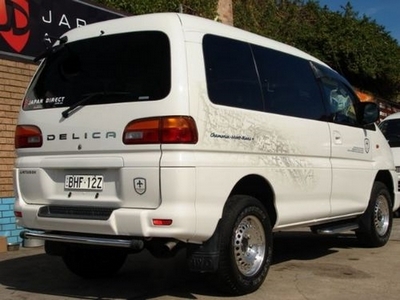 If you are thinking of buying a Delica the following will answer most of your questions. These are the model variations, engine's, engine ancilliaries (Fuel pump, water pump, air intake, turbo, manifolds, etc) Brakes, Brake discs, wheels, electrics and interior trim can vary greatly depending on grade options specified by original purchaser. You will find most parts suppliers will ask you for the chassis number as this will also list different parts used on your Deli during its construction, as specifications changed. 3000cc V6 (6G72 Petrol), column shift 3 mode 4A/T, Crystal Lite roof. 2800cc TD (4M40 Diesel), column shift 3 mode 4A/T, Crystal Lite roof. 3000cc V6 (6G72 Petrol), column shift 3 mode 4A/T, Crystal Lite roof or twin sunroof. 2800cc TD (4M40 Diesel), column shift 3 mode 4A/T, Crystal Lite roof, twin sunroof or high roof (no glass). 2800cc TD (4M40 Diesel), column shift 3 mode 4A/T, Twin sunroof or High roof. 2800cc TD (4M40 Diesel), floorshift 5M/T, High roof. 2800cc TD (4M40 Diesel), column shift 3 mode 4A/T, aero roof. 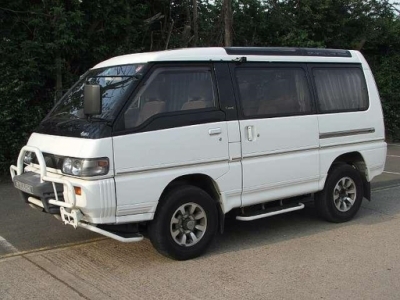 2800cc TD (4M40 Diesel), floorshift 5M/T, aero roof. 2400cc (4G64 Petrol), column shift 4A/T, Twin sunroof, High roof or Aero roof. 2800cc TD (4M40 Diesel), column shift 3 mode 4A/T, High roof or Aero roof. 3000cc V6 (6G72 Petrol), column shift 3 mode 4A/T, high roof. 2800cc TD (4M40 Engine), column shift 3 mode 4A/T, high roof. 2800cc TD (4M40 Diesel), column shift 3 mode 4A/T, high roof. 2500cc TD (4D56 Diesel), column shift 4A/T, Crystal Lite roof. 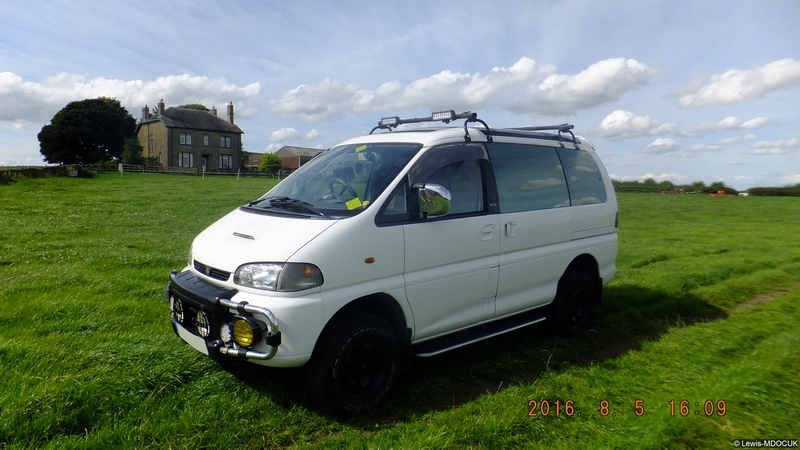 2400cc TD (4G64 Petrol), column shift 4A/T, Crystal Lite roof. 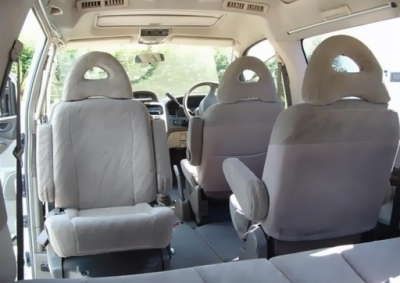 2500cc TD (4D56 Diesel), column shift 4A/T, twin sunroof, high roof or aero roof. 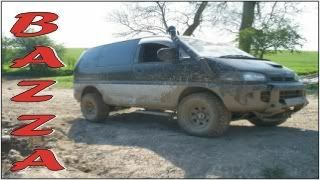 2500cc TD (4D56 Diesel), column shift 4A/T, aero roof. 2400cc (4G64 Petrol), column shift 4A/T, aero roof. 2500cc TD (4D56 Diesel), column shift 4A/T, high roof. 2500cc TD (4D56 Diesel), column shift 5M/T, high roof. Difference in power output between a series 1 & 2 ? Series 2 has an electronic fuel pump, the automatic gearbox is a Column shift INVECS-II 4 speed automatic, Air con system has the same compressor but different clutch setup. The following description is of a short wheelbase (SWB) four wheel drive (4WD) Super Exceed 2.8TD. Only the engine sizes / specifications are different on other models, apart from the extra length of the LWB. 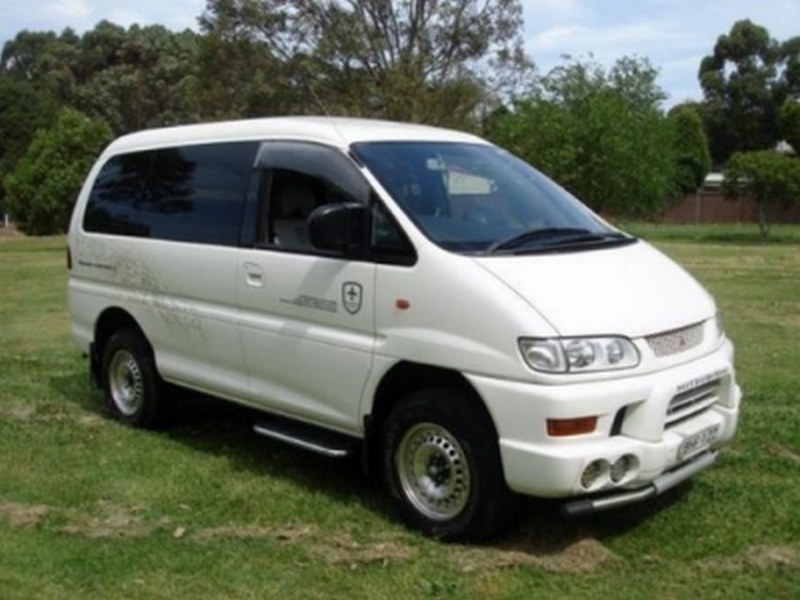 The L400 Delica Space Gear has two 4WD specs:- Part Time 4WD and Super Select 4WD. 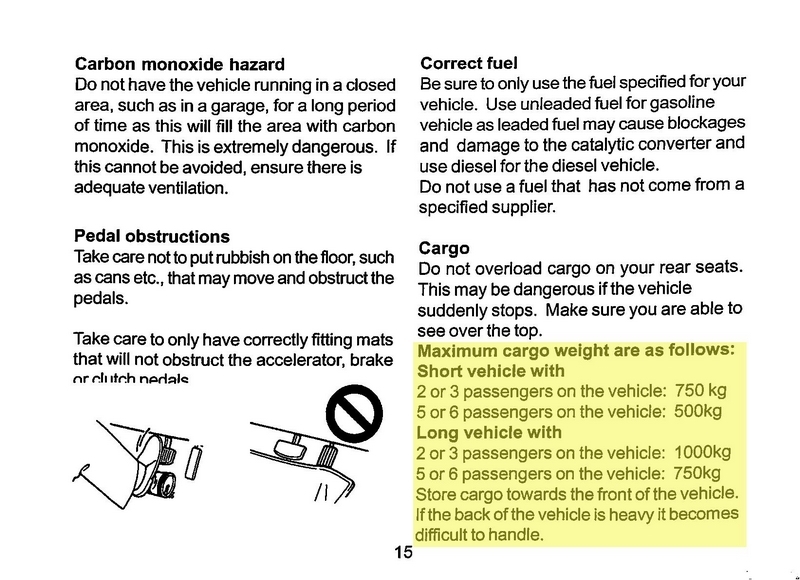 All auto gearss L, 2, N, D, R, P are on a shift lever on the steering column. the 2WD/4WD modes are on a floor shift lever. It will state super select on the dash display and the floor shift lever shows the 2WD - 4WD positions. 2H = 2 wheel drive High range gears. Super Select gearing will let you shift from 2WD to 4WD (positions including H whilst still travelling at speeds up to 100Km/h (60mph). You can get Manual Gear boxes but most come in Automatic versions. You need to put the auto version into Neutral to switch into or out of Diff Lock. The dash has a comprehensive warning light system to show you which diff/ wheel mode you are driving in. Diesel Fuel tank capacity on the 2.8TD 4WD is 75 Litre, and 60 Litre on the 2WD, with a low fuel warning light at approx 15 Litres left. The engine is capable of running on Vegetable oil and is very robust, Some members are useing 70% veg 30% bio diesel. Its been legal, since 31st July this year to use Veggie oil without paying extra tax provided you do not use more than 2,500 litres per annum (Approx 14,000 Miles worth), though this may be stopped in 2010. You should average between 24 and 28 mpg when fully loaded on a long run. Height = 1.275 for the Crystal Lite roof version, which is slightly higher than the low roof version at 1.180 metres. Below is a Long Wheel Base version. 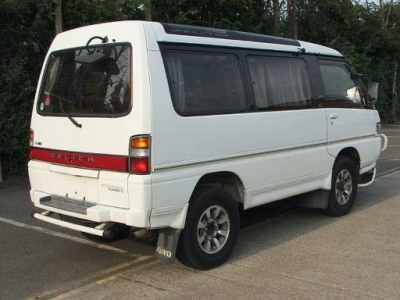 Note the larger rear side window, the panel width between the sliding door and the rear wheel arch and the longer overhang behind the rear wheel arch. 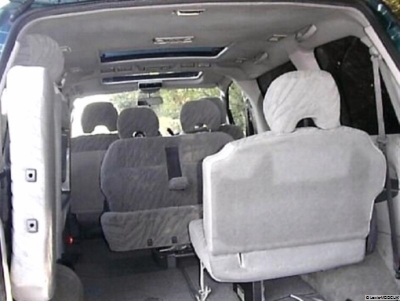 Seating capacity is seven or eight, depending on version. 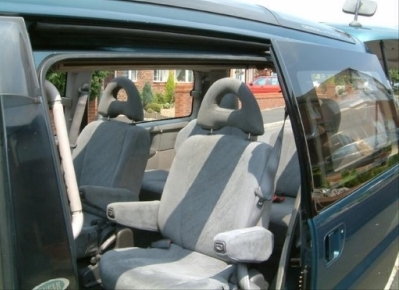 seven = a middle row of two fully revolving captain chairs and split drop down seats at the back for three people. 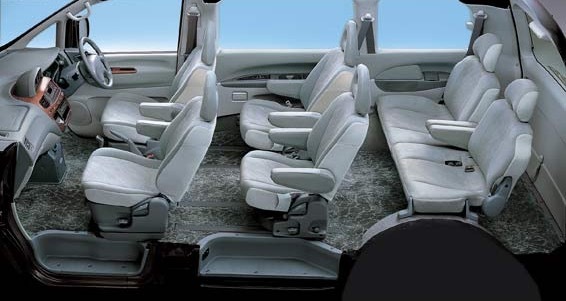 The eight seater has a rotating three seater bench in the middle, instead of the two revolving Captains chairs. 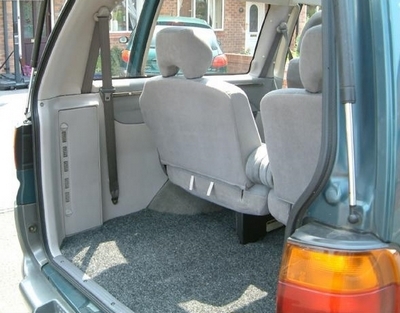 With the SWB you need to remove the rear seat headrests when driving with the seats folded flat to the sides. 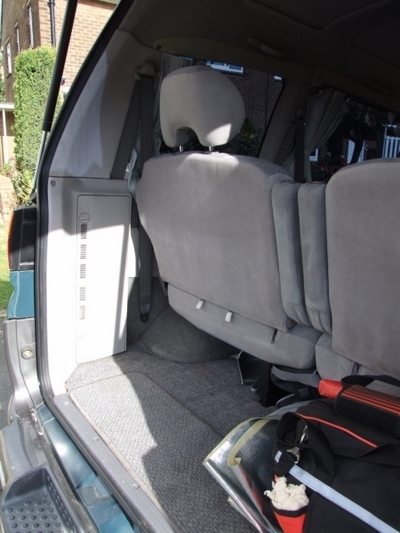 The LWB has a greater internal depth from the rear seats to the tailgate allowing the headrest to be left on the seat. You can also put the seats flat and fit a cheapo £39'ish inflatable double ready bed from Argos or camping stores. NB: Only logged in registered members will be able to see them. All photo's and video's posted by members are their copyright. Posted: Wed Jan 20, 2010 14:19 Post subject: Google Ads keep this community free to join! Blimey I keep seeing loads of updates from you Lewis,good work and issue yourself extra beer tonight.